Phoenix Homeowners Assistance Event, February 3 – 7. Chase is holding an event for struggling Phoenix Homeowners. If you are considering doing a loan modification or currently working on one, or simply struggling with your payments and your currently have a home loan with Chase you may want to attend this Phoenix event. You can take the Chase loan modification eligibility assessment here. Did you know Chase offers cash incentives to struggling Phoenix homeowners? In many instances, it may be time to consider a short sale, especially if you believe that you will continue to have trouble paying your mortgage even after a loan modification. Chase is offering cash incentives to qualified homeowners that facilitate and close on a short sale. If you are considering a short sale and you want more details on the cash incentive and/or eligibility programs, contact us ASAP for a free evaluation by a Certified Distressed Property Expert (CDPE). 3.) contact an experienced Certified Distressed Property Expert (CDPE) to facilitate a short sale. *One of the biggest obstacles when facilitating a short sale is Phoenix homeowners contact us too late to save the property from foreclosure. If you have been following the future posts in this 11 Steps to Buying a Phoenix Home Series we touched briefly on how to establish or clean up your credit if needed. Now for the purposes of this series moving forward we will assume you have a least a 620 credit score, a steady documented income for the previous 12 months and your DTI is 41% or less as indicated in our previous post regarding debt-to-income ratios…the next step is to get pre-qualified with a Phoenix home loan. Word of mouth is the best way to find a great loan specialist for your Phoenix home loan and your Realtor is a great place to start. Your Realtor should have excellent referrals for you as they tend to use the same preferred lenders over and over again that make them look good and give their clients the best service available. Just like any business if you do a good job, word gets out about your services and others refer you business. I do not recommend just haphazardly going online and completing online questionnaires or applications. 9 times out of 10 your information is sold and you can get bombarded with loan professionals. Find a few that come highly recommended by asking your family, friends, neighbors and Realtor and start there. A lender should be able to take a phone application and/or secure online application and have answers for you the same day. Unless of course you go to a brick and mortar bank where a pre-qualification can take up to five business days. After you complete the application process via online, over the phone or in person you will be provided with a pre-qualification letter that will state the amount of financing you qualify for. In Arizona specifically your Phoenix home loan qualification letter may be issued on as an LSR or Loan Status Report. An LSR will be required to write any offer and typically required prior to view homes. If this is your first time buying a home and applying for a Phoenix home loan you will have several questions. Your lender should be able to tell you your rate (which can still change until you lock it), your estimated mortgage payment including taxes and insurance, your estimated closing costs to bring to the closing table (which you can negotiate the Sellers contribute to), and your required down payment for your particular Phoenix home loan program. First time home buyers will typically use an FHA loan with 3.5% of the purchase price required as a down payment. There are also Phoenix home loan programs such as a USDA loan which allows first time home buyers to purchase at $0 down provided the property is located in a qualifying area. Phoenix-Metro areas that qualify mainly are Queen Creek, San Tan Valley as well as parts of Apache Junction. The next step once you receive your Phoenix home loan qualification letter is to select a Realtor to represent you if you have not already done so which we will discuss in the next post in this 11 Steps to Buying a Phoenix Home Series. People are always looking for ways to earn more money and invest for their futures. One of the best ways to invest money to make more money is in real estate, and with the current market situation, now is a great time to invest in the real estate market. Whether you are looking to buy your first property or looking to purchase an investment property, now is the time to act. 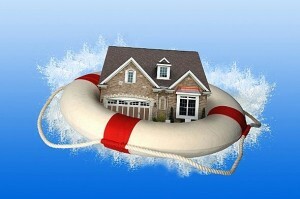 Current home mortgage loan rates are low and there are many outstanding deals out in the market. Over time, the return on your investment is good when it comes to real estate. Property values over time mostly rise. Keep in mind that you should not consider real estate investing if you are wanting a fast return on your money. Just like stocks, the housing market prices will rise and fall, but over time, most properties will see a rise in value. Depending on which market you live in will depend on the rate of return. For example, the Dallas-Fort Worth area sees about a 2% rise in home values per year. When it comes to additional income, buying rental houses is a fantastic way to generate additional income plus build wealth over time. Each rental house can help with creating cash flow for property home owners. It is crucial to remember to start out slow with rental properties and make sure that you maintain the house. Many investors are jumping on the opportunities to purchase homes at great prices and turning the properties into positive cash flow investments. Not all properties are good rental properties, so it is important to review the possible rent income compared to the cost of owning the house to make sure that buying the house is a good investment. Over 90 percent of the millionaires use real estate in some sort of fashion in building their wealth because real estate offers a great way to consistently increase wealth. Property owners have tenants pay for the mortgage while they benefit from the rise in property values over time. If done correctly, real estate investing can be a great way to have a monthly income in retirement years. 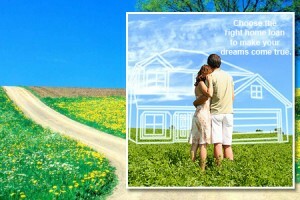 So when it comes to ideas of building wealth, you should consider purchasing a home. Begin small with buying your first house and moving on from there. 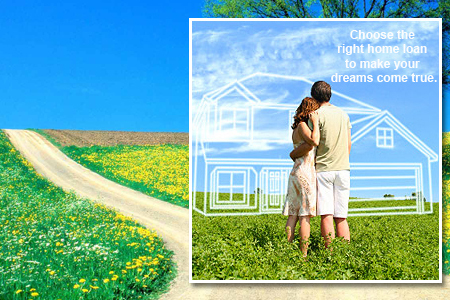 Spend the time to gain the knowledge of the market and do research on each possible house before moving forward. Understand your financing options and understand the different home loan programs available for investors. David White is a Senior Mortgage Officer who specializes in home loans. David has over 12 years experience helping his clients with Dallas home loans. This article, Investing In Real Estate To Make Money has free reprint rights. A complete renovation project is the best way to attract prospective buyers towards your property. Time should not be a factor for such projects because a house with a good makeover is always liked by prospective buyers, thereby raising chances of a lucrative resale. A quick example of increasing the property capital value as well as salability and rent ability is adding a garage or car port. If the property has the space to add a car shelter and it does not have one, future buyers or tenants will see the added value. When you rent a property you can often recover the cost of the work from a tenant within two years. After that the extra rent you charge will be additional profit. On top of the rent amount if you are making additional changes to the property at the same time, your bank will take the upgrades into consideration when you get the property revalued. Property renovations are normally carried out on the entire structure and area of the property and this also includes the electrical fixtures, furnishings and even the colour schemes. A meticulous property renovation aims at a greater degree of utility and comfort for the residents. Classy renovations can increase the worth of a property by even up to 50%. The most significant aspect of a renovation is making the appearance of the property attractive enough. Most buyers are fully aware of the latest styles and incorporating them in your new interior design and house structure would surely draw more buyers ready to pay a good price. It is advisable to hire the services of a seasoned interior design expert when you go for the restoration. If limited renovation is what you are targeting, then the interior designer can recommend which sections of your house can be cleverly redesigned to appeal to potential buyers. For example, an interior design specialist knows how to generate good results by putting in a few architectural touches at minimal expense. Things like floor patterns, wall colours etc can give you a sense of brighter and spacious interiors. An interior designer is also required for advice on structural aspects of the house and can tell you if any parts need reinforcements. Being widely experienced, he can suggest you the correct strategy, taking your spending capacity and requirements into account. An interior designer can also suggest to you which renovation materials are long-lasting and inexpensive at the same time. Getting the best appliances and materials at rates that won’t hurt the owner much is what interior designers excel in. They can also tell you how much time would be required for the whole restoration project to complete. The buyers’ latest tastes and likings should also be found out from a seasoned property broker who has all the information about the dynamics of the property market. After all, every plan of yours is channelled towards building satisfaction in the minds of potential buyers when they see your house, and ensure a profitable resale. Find out more about interior design and discover how does property renovations Singapore add value to your property rapidly. This article, How To Increase Your House Capital Value Using Interior Design Renovations is available for free reprint.